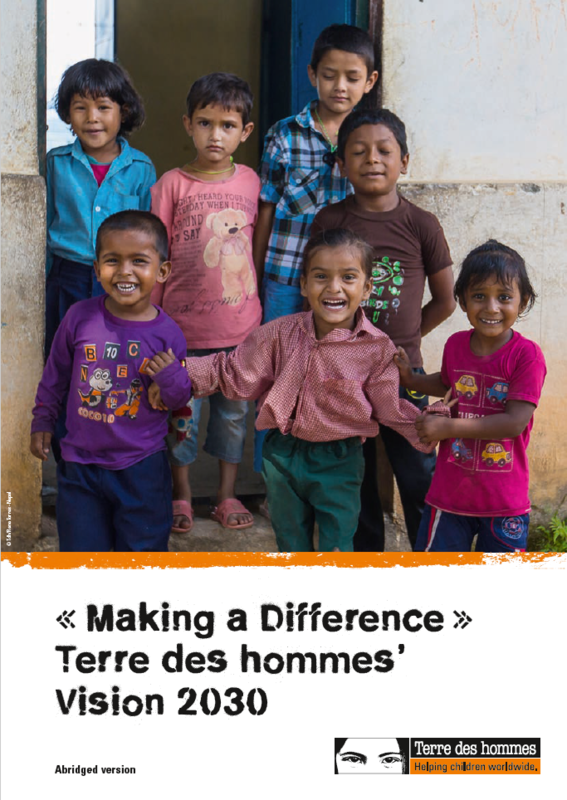 Terre des hommes (Tdh) carried out in-depth consultations before determining its long-term vision. To make a difference, we have chosen to concentrate our ambition for impact on the following priority programmes: in the child protection sector, the health sector and in the domain of humanitarian crises. In addition, with its historical roots and positioning as the reference NGO for child relief in Switzerland, Terre des hommes aims at improving access to specialised medical care in the children's countries of origin and at developing advocacy strategies for children in Switzerland who are the victims of grave violations of their fundamental rights.